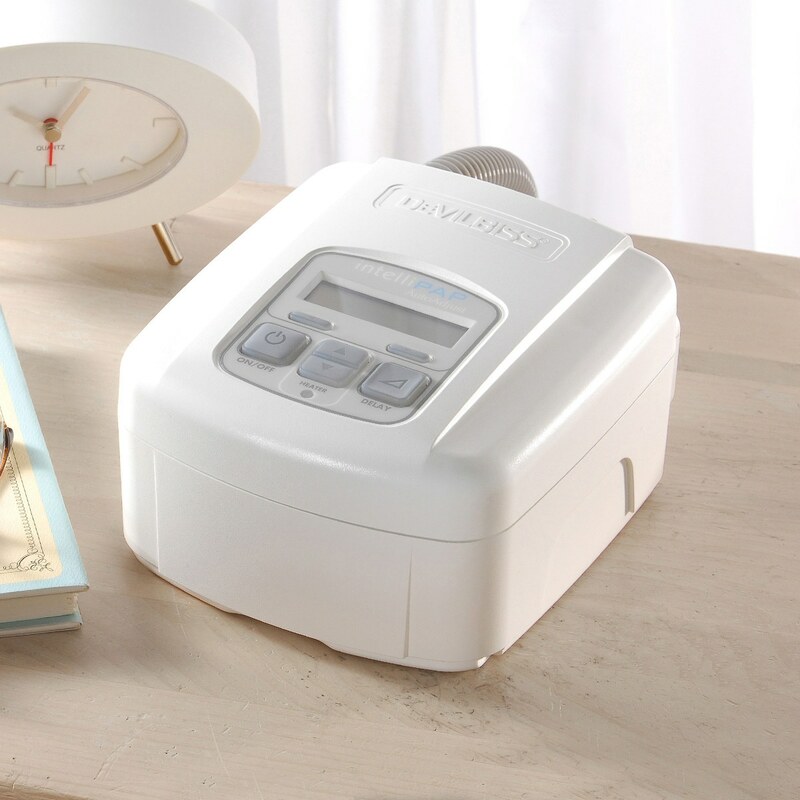 The IntelliPAP AutoAdjust CPAP adjusts therapy levels automatically throughout the night to provide the lowest pressure levels possible for successful, comfortable therapy. In addition it offers SmartFlex pressure relief, whisper quiet operation, an exceptionally small footprint, a rich feature set, and the industry's longest warranty. 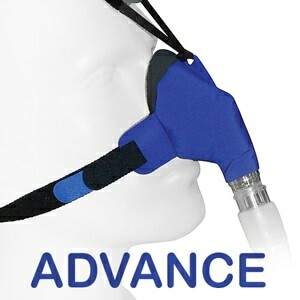 It is an ideal Auto-CPAP solution for use at home or away. Rich Feature Set: The IntelliPAP Auto includes all of the features you'd expect from a premium Auto-CPAP machine including a wide pressure range (3-20CM), a user adjustable ramp, a universal power supply, whisper quiet operation, auto altitude adjustment, automatic leak detection, auto on/off, and of course SmartFlex pressure relief and Auto-Adjusting therapy for added comfort! 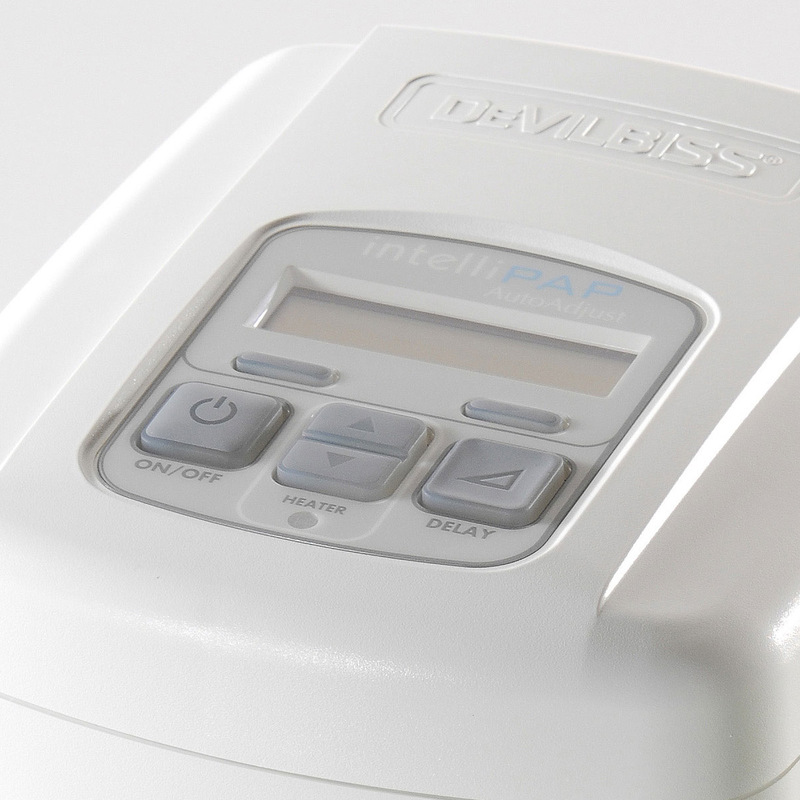 Advanced Auto-Adjusting Pressure for Personalized Treatment: The IntelliPAP AutoAdjust CPAP (APAP) System adjusts therapy levels throughout the night to provide the lowest pressure levels possible for successful, comfortable therapy. IntelliPAP's ultra-sensitive snore detection and self adjusting pressure based on apnea/hypopnea detection mean that every night can be a successful one. 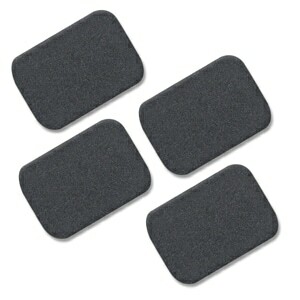 SmartFlex Pressure Relief: For added comfort the IntelliPAP Auto includes SmartFlex pressure relief. 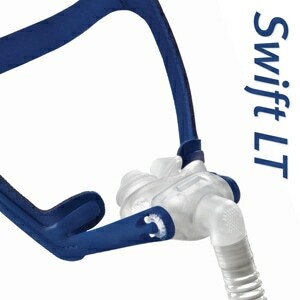 SmartFlex reduces therapy pressure on exhalation so breathing out feels more natural during sleep therapy. Pressure relief can be set at three levels (up to 3CM) and transitions, between high and low pressures, can be adjusted to six different levels for a more personalized sleep experience. 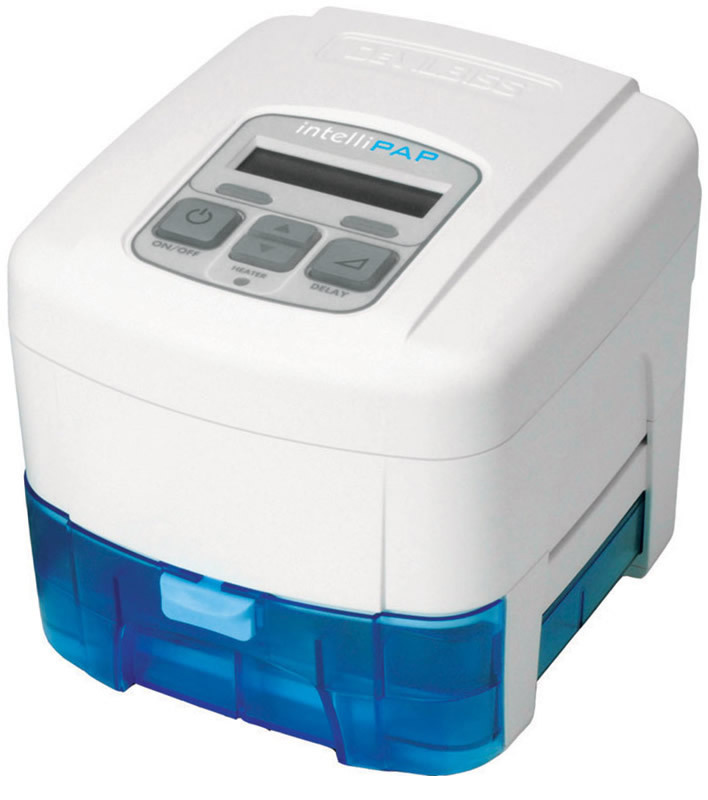 Integrated Heated Humidifier Optional: In addition to being a great APAP machine the IntelliPAP AutoAdjust can be coupled with a truly-integrated heated humidifier. 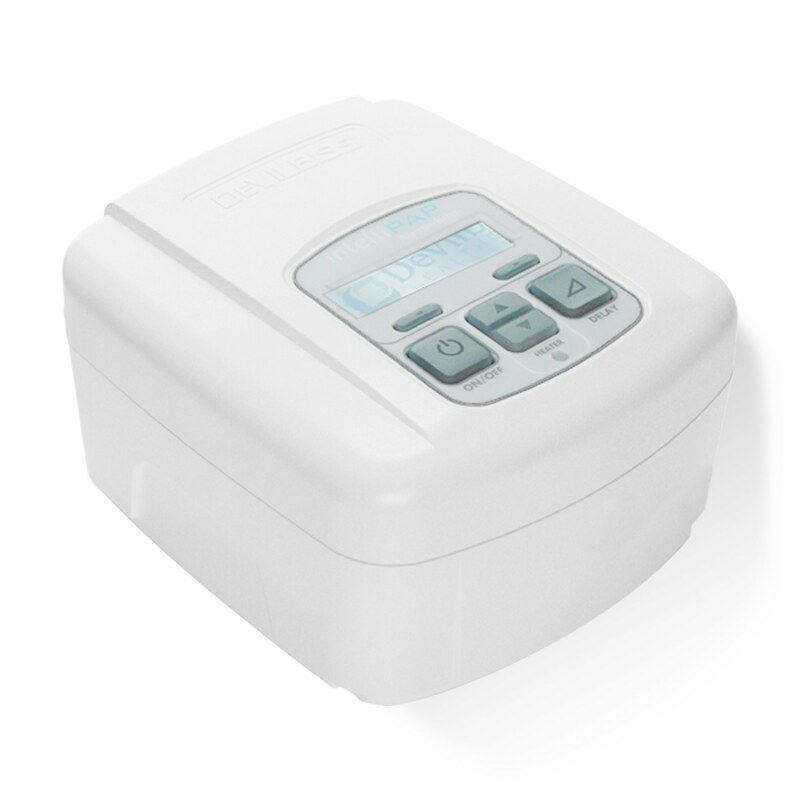 The IntelliPAP Integrated Heated Humidifier docks into the bottom of the unit without requiring a separate hose or power cord.The humidifier chamber is easy to remove and replace and includes built-in overfill protection that prevents water from the humidifier damaging the Auto-CPAP! Great For Travel: The IntelliPAP AutoAdjust is great for home, but it is built for travel as well. Lightweight, durable construction means the IntelliPAP Auto-CPAP weighs less than 3 lbs and fits easily in the supplied carry case or any overnight travel bag. DC power cord and battery options are also available for camping, air travel and boating. In The Package:IntelliPAP AutoAdjust Auto-CPAP Machine, Travel Bag, Filters (Reusable Foam & Ultra Fine), 6-Foot Tube, Printed Users Manual, Power Cord, 5-Year Warranty. Select Additional Tubing, Power & Humidification Options in Cart. Default Settings: Mode Auto-CPAP, Minimum Pressure 5 cm H2O, Maximum Pressure 15 cm H2O, Ramp 20 Minutes, Ramp Start Pressure 4 cm H2O, Auto-Start Off, Auto-Stop Off. Data Included: Cumulative Use Statistics as well as Statistics for the Last 1, 7, 30, and 90 days including: Total Days Used, Days Used at Least 4 hours, Percent of Days Used at Least 4 Hours, SmartCode Compliance Score, Apnea Hypopnea Index (AHI), Percentile Pressure, High Leak Flow Time, Non-Responding Event Index (NRI), and Exhale Puff Index (EPI). Sleeping much better with this new machine. This machine replaced a10 year old one. The new one automatically turns it's self on once you put your mask on. Nice in the middle of the night. I never thought I would say this about a CPAP machine. I love this one. The machine works great, I'm surprised how quiet the new unit is. on auto it ranged at a much lower pressure to get the job done. No more overdoing the pressure which i didn't need and it tended to make the headgear leak more easily. Good job cpapXchange! Love this Cpap machine! Quick delivery also! Thank you !! This is my third machine, the last two were Remstars. It works great is light, small and easy to travel with but best of all it is quiet. I mean really quiet. The only noise you hear is breathing in the mask and I'm using a quiet mask there. The only problem so far is getting use to night time house noises again. If it weren't for the light on the machine anyone else in the room doesn't know if it is on or off. The warranty is also longer than other machines so I'm looking forward to several years of quiet. This is the best sleep I have had in years and cpapxchange was incredibly helpful in helping me get my prescription out of the clutches of my greedy doctor who kept trying to get me to spend money on sleep studies I didnt need. This is simply the best company to order anything from period! I just recently upgraded to an IntelliPAP machine. I like that it has a smaller footprint, not occupying as much space on my night table. What I truly enjoy is how quiet it is. You don't hear it at all, which makes it a better night's sleep, in comparison to my previous machine from another vendor. Among features that are specially nice is the opportunity to adjust the humidifier rather than a or-set parameter. I live in Puerto Rico and for the first time I don't worry if I will wake up with a dry throat. Only one thing is I am going to change to a longer hose. The air supply is from the back of the machine which in my case shortens the length from my night table, however but machine is adaptable to a longer length. Love the unit and most definitely sleeping much better than before and feeling refreshed in the morning. A great buy! This is my second machine, the first an ICON quit working. The IntelliPAP is an improvement. It relaxes as I exhale allowing a less labored push (exhale). The ICON constantly heated water which meant it was ready and heated when I went to bed, but this also creates more build-up of junk in the water reservoir. The IntelliPAP heats after I turn it on but the way the reservoir is laid out it appears it is able to quickly warm the air. I like the IntelliPAP's auto on. It senses when you have placed the mask/ nasal gels on and turns itself on. It can also be set to turn itself off when you remove the mask. Very good machine so far. 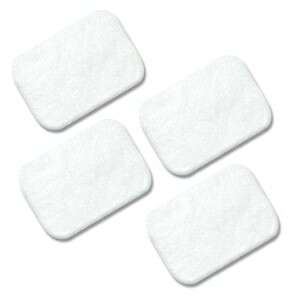 I have been on CPAP therapy for 14 years, and used two Remstars & a Resmed before now. I am thrilled with this machine. (Sounds silly to be thrilled with a machine used for sleeping--unless you're the one who can't sleep!!!) It's so quiet you can't even tell it's on. The only sound is your breath in the mask. it's even pretty. So compact. Great value for the $$$. I couldn`t be happier :) Great service too! The Intellipap is very quiet and simple to use. I was glad to get the new unit. Once I got the proper wording on my prescription everything went smoothly, and the staff at CpapXchange were very helpful and prompt. This is a wonderful auto pap. I wish I had traded my old noisy CPAP machine for this sooner. I love how quiet is is so much so that hubby actually put his hand on it to make sure it was on:) My favorite thing is the smart code I like being able to keep an eye on how I an doing. I have been sleeping so much better since I purchased my IntelliPAP AutoAdjust and the pressure is just what I need to feel good. Wonderful sleeping experience. I have been using machines for over 10 years. The smartflex works like a dream (pun intended). No more billowing of the face mask seal when exhaling. Extraordinarily quiet. Easy to fill humidifier. Cpap price is acceptable. 5 year warranty unmatched with similar products. Overall: lightweight, compact, quiet and efficient. Excellent customer service. I was replacing an older CPAP with this model and I have been really impressed with it. It works great and I highly recommend it. 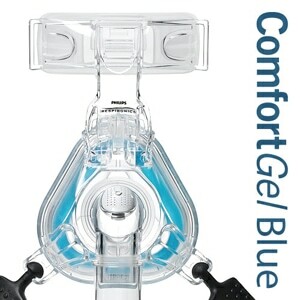 CPAP machine is easy to use/adjust. Very quiet! Great email support from cpapxchange.com! 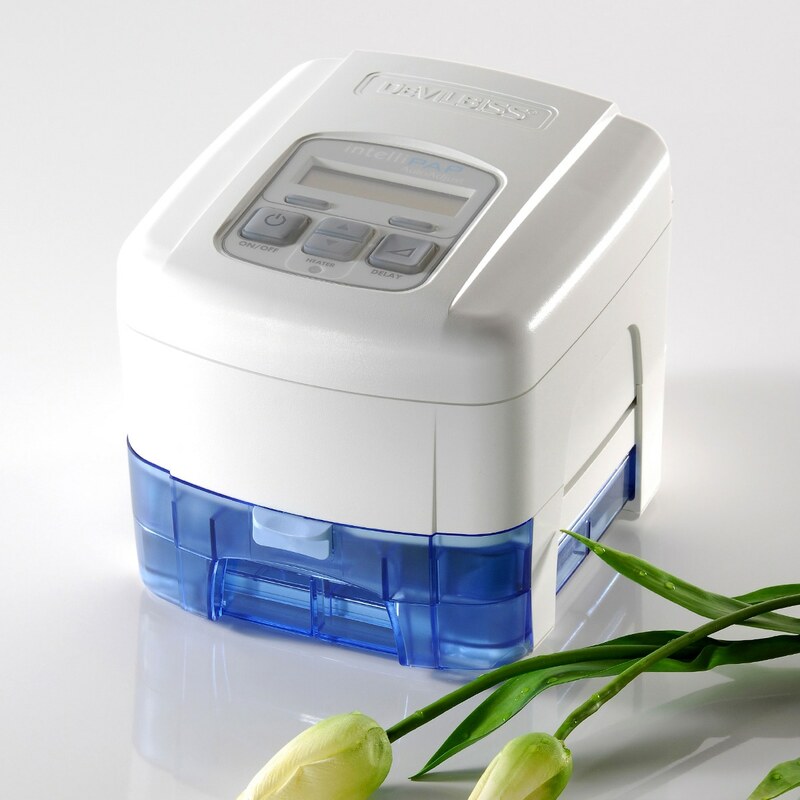 A couple of weeks ago my ResMed Auto Spirit APAP machine died on me without warning. I have a high deductable health insurance policy and my carrier wanted me to see a Pulmonologist and have another sleep study before they would cover a new machine...I didn't have the time or money to jump through their hoops! 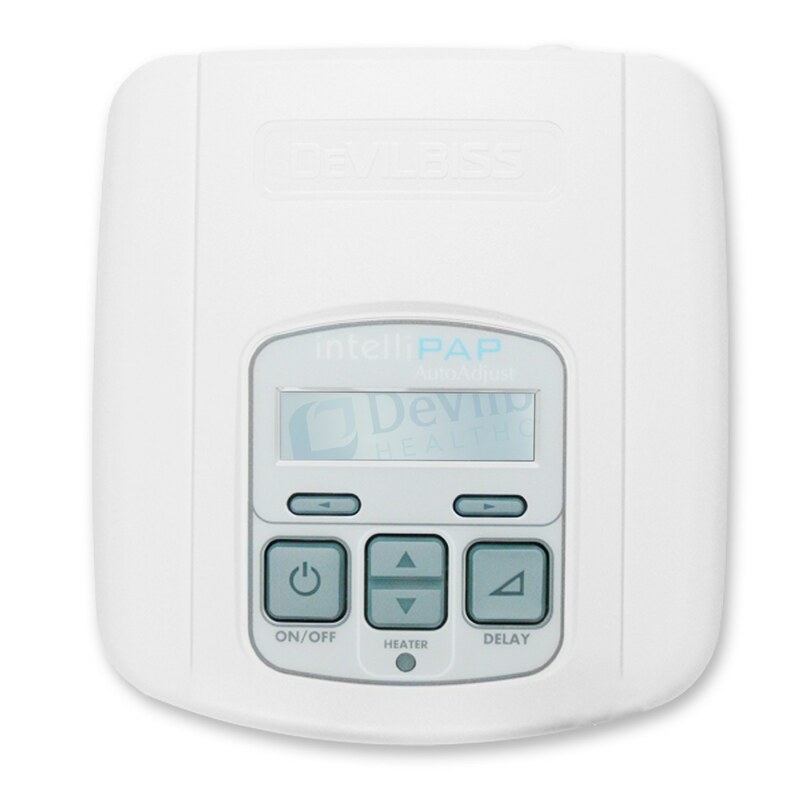 I obtained a prescription from my regular doctor, found cpapxchange online and purchased the DeVilbiss Intellipap Auto Adjust APAP machine AND a DeVilbiss Easy Fit Silicone Mask with the headgear for under $500.00 but opted to pay for 3 Day Shipping because I hadn't slept for several nights. The machine and mask was delivered to my house on the 3rd day as promised and I slept for a solid 12 hours! I've had three machines since 1999 and this one is by far the best! It comes on by itself when you put the mask on and will cut itself off if you forget to. It is the quietest machine that I've seen and has a 5 year warranty. You can also retrieve a code from the machine daily, go to the Devilbiss website, enter the code, and it will instantly generate a report detailing the pressures, number of apnea events, and a few other things that occurred while using the machine...amazing! The mask and headgear are also very comfortable. Hats off to cpapxchange and Devilbiss...I HIGHLY recommend them both for wonderful products, bargain pricing, and excellent service! THIS WORKS GREAT FOR ME. EASY TO USE AND QUIETER THEN THE 1 I WAS USING PRIOR. SMARTCODE WAS NEEDED FOR MY JOB AND YOUR PERSONEL EXPLAINED HOW I CAN DOWNLOAD THE RESULTS.